In a recent post I outlined my first foray into creating a roast blend, which yielded reasonable results with minimal planning. As it contained the remaining beans from a couple of previous roast batches, there was no science (nor art for that matter) put into bean selection, consideration of flavour profiles or ratios of each origin, which I expect are required to achieve a blend where the final taste is both a pleasant drinking experience and at least resembles what you set out to achieve. In this follow up, I will do a little more research into possible ways to improve on my earlier effort. First, a little reading into better ways of blending for the home roaster, where a search will provide some interesting views on the topic, some of which I found quite helpful. If you have an established blend it certainly is easier to blend the coffee green and roast it together. If you are experimenting with blend ingredients and percentages you will want to pre-roast each separately so you can experiment with variations. For my own situation, and I’m sure many home roasters are in the same boat, consistency of roasts can be a little difficult to achieve at times, so for now I will go with blending post roast. With this approach I have a greater likelihood of producing a pretty good roast on one variety of beans at a time, and will have better control through experimentation over how the final blend comes together. 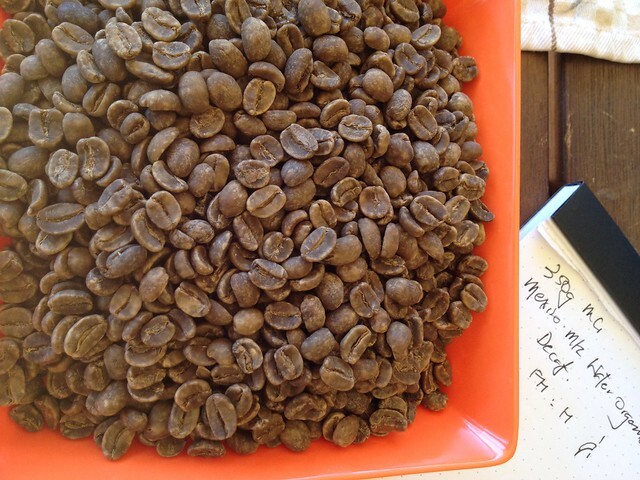 Another source of information on blending is the Coffee Snobs Blending Room forum, an Australian based forum on all things coffee, where you can work through a myriad of recommendations, questions and answers on the specifics of blending. A great resource for obtaining advice on what proportions or combinations to use for the beans you have available to blend, which can be as simple or as complex as you choose. Blend, taste, repeat (did a say that already?) and enjoy making your own signature blend! That’s it! My top ten tips for setting out on your own blending journey as a home roaster. From reading around a little, I can say without a doubt there are really no wrong or right answers here, however as with anything, opinions and guidelines exist, your own experimentation ultimately provides the way. Hopefully you will come up with some fantastic blends, as will I in the course of time. If you do, I would love to hear about them in the comments below, or on Twitter.